Some Republicans in the NC General Assembly want to change the state's constitution to force judges at all levels, including the Supreme Court, to run for reelection every two years. That would in effect put judges into constant campaign mode and further erode the independence of the state's judiciary. 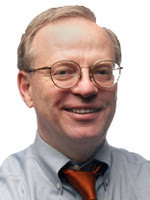 The constitutional amendment filed by Rep. Bill Rabon of Bladen County is intended as a direct slap at judges who have found so much legislation passed by this General Assembly plainly unconstitutional. If judges uphold new Republican laws, they're acting like wise judges, but if they strike laws down, then they're "legislating from the bench." 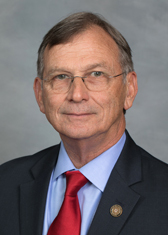 Republican Rep. David Lewis (Harnett County) underscored the political calculations behind the Rabon amendment in a comment he made to WUNC: "If you’re going to act like a legislator, perhaps you should run like one” -- that is, run every two years like members of the General Assembly do. “It’s just wrong,” he said in a phone interview Tuesday. Orr said the amendment sends the wrong message to the judiciary that if judges won’t rule the GOP’s way, lawmakers will retaliate. The General Assembly has adjourned until January, so perhaps Dictator Phil Berger and Go-Along House Speaker Tim Moore won't call another special session to ram this thing through prior to the first of the year. In the meantime, people need to let Jonathan Jordan (Jonathan.Jordan@ncleg.net) and Deanna Ballard (Deanna.Ballard@ncleg.net) know that the Rabon amendment is dirty, rotten politics.